The short video below reveals yet another scene of looting out of Ferguson, Missouri following the Darren Wilson grand jury decision. While these scenes have become pretty common over the last 48 hours, this particular one is a tad bit different. A tad…special. It’s…a Dollar Tree. That’s right, they looted a Dollar Tree store. 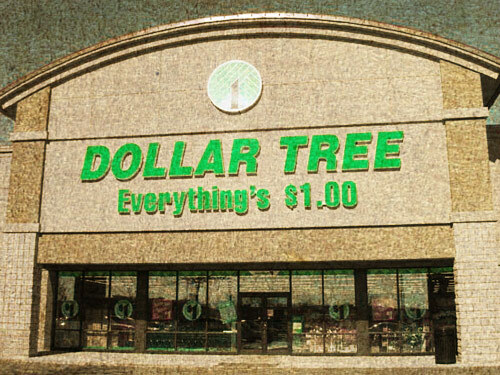 For those who aren’t aware, Dollar Tree is a store where every single item in the store (barring clearance sales) is only one dollar. Not that anyone at The Daily Sheeple condones any of the ridiculous spectacle coming out of Ferguson, but hypothetically if you were going to loot somewhere… Would you really choose a dollar store? Also, what does stealing armfuls of cheap Chinese slave-made goods worth a dollar have to do with Darren Wilson, Michael Brown, or the encroaching American police state? It’s pretty clear we’re beyond politics and civil rights issues once people start looting dollar stores, but pro tip: if you want the nation to take your opinion seriously, looting a dollar store probably isn’t the best way to go about it.